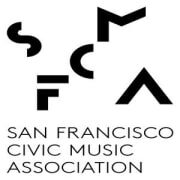 The San Francisco Civic Music Association has a two-part mission: to provide a place for musicians at all skill and experience levels to play together, and to offer free performances for members of the community that might not otherwise experience live orchestral music. Would you recommend SAN FRANCISCO CIVIC MUSIC ASSOCIATION? Great organization and excellent training and experience volunteering.